Will my dog get bored eating the same food every day? Dogs don’t have the same tastes that we have for novel foods and combinations so don’t get bored of the same food every day. Studies show that whilst humans have around 9000 taste receptors in the mouth, dogs only have 1700. They don’t enjoy salty or bitter foods to the same level that we do because of this. However, dogs have a taste receptor that humans lack, for them the taste of water is enjoyable. 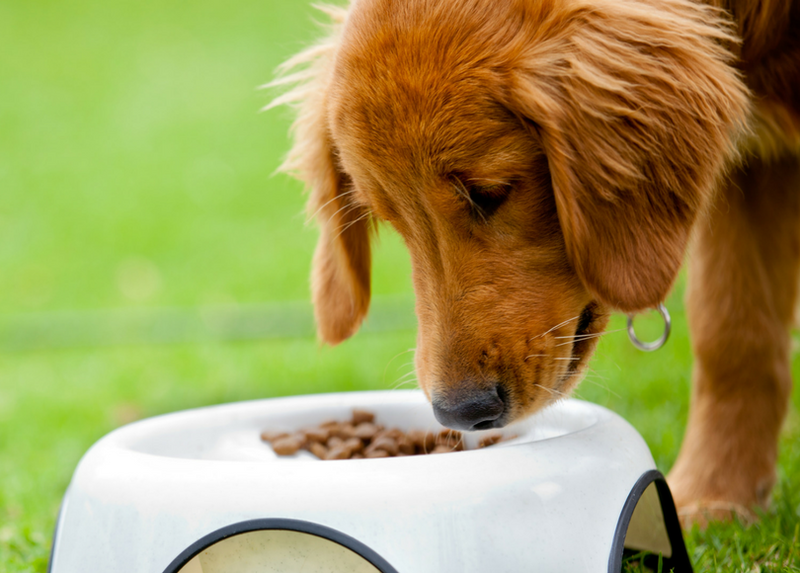 When it comes to food variety, adding in wet food and extra flavours to their meal can help dogs that struggle with their appetite. But if his food bowl is mainly full of these extras rather than kibble then your dog may not be getting the best balanced, nutritious diet. If your dog starts to show signs of poor digestion then cutting back on these extra bits is a good first step in establishing whether his diet is causing the problem. When it comes to introducing a new main diet, it’s important to still take your time transitioning him slowly onto the new food. Over 5-7 days you should gradually decrease the amount of his current food, whilst increasing the amount of the new food. Watch for signs of looseness or diarrhoea over this time, which can be an indication that the new nutrient levels or ingredients are not suiting him. If you have a dog that suffers regularly from digestive upsets or has allergies, being stricter about variety may be essential – in particular ensuring that all their food is hypoallergenic including any treats and extras. I’m not entirely sure that this is true. It might be my particular mutt, but I find that rotating foods gets a better response throughout the week and minimizes food wastage. Having said that, feeding a better quality brand of dog food does seem to improve the fussiness factor! There als seems to be a benefit to rotating the protein to prevent food allergies from developing? I know for a fact our dogs do get bored of their food. I do a bi-weekly rotation for our dogs. Now they don’t get tired of the food they used to eat. Luckily they don’t have transition issues with their tummies as they are used to it. Wow I never knew that dogs tasted water differently than humans! So interesting! Thanks for the article!